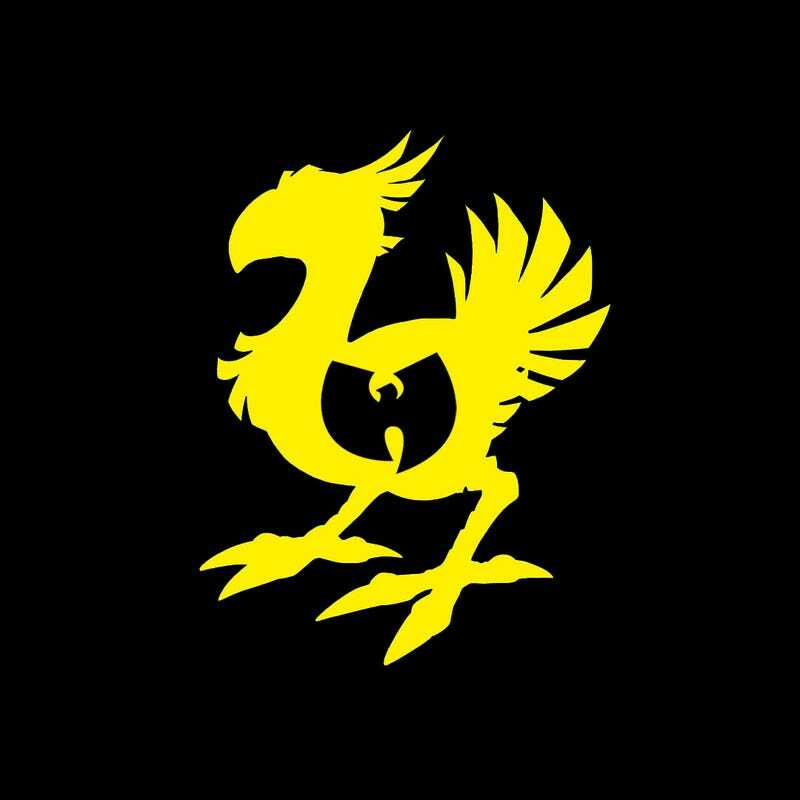 If you're wondering what this image is, yes: it's a silhouette of a chocobo with the iconic Wu-Tang "W" cut out. And yes, that can only mean one thing: someone finally mashed up key verses from the Wu-Tang Clan with songs from Final Fantasy VI. The end result is about as whacky as you'd expect. "Besides being my favorite hip-hop collective and favorite JRPG, there is a similarity that made me choose FFVI's music and story to mix with Wu-Tang songs," 2 Mello said of The 3-6 Chambers in an email to Kotaku. "Even though nearly every Final Fantasy game focuses on a group, a party of characters, the characters from FFVI have always resonated particularly strongly with me." "That idea of a strong group with varied personalities coming together to try and save the world reminded me strongly of what I feel Wu-Tang accomplished when they came on the hip-hop scene," he concluded.